Toronto, Canada – 22 December 2008. 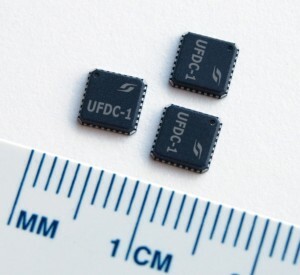 SWP, Inc. has announced that its both popular ICs of Universal Frequency-to-Digital Converters UFDC-1 and UFDC-1M-16 are available now in 5 x 5 x 1.0 mm body, lead pitch 0.50 mm 32-pad Micro Lead Frame package (MLF). This miniaturized package lets use such ICs in different pen-size measuring instruments and built it in various quasi-digital sensors and transducers in order to convert frequency-time parameters of electrical signals of sensing elements to digital similar like ADC converts voltage or current to digital for analog sensor’s output. Both CMOS ICs are two-cannel universal frequency-to-digital converters that can work practically with any sensors from frequency-time signal domain group and convert frequency, period, its ratio and difference, duty-cycle, duty-off factor, PWM signal, time interval, pulse width and space, rotation speed, pulse number, phase shift - to - digital. The UFDC-1 and UFDC-1M-16 have high and constant selectable accuracy (programmable from 1 to 0.001 %) in a wide frequency range up to 7.5 MHz (120 MHz), scalable resolution from to 2.5x10-7 Hz to 45 Hz and non-redundant conversion time. Both ICs can work in 16 measuring and one generating (8 MHz, quartz stabilized rectangular pulses) modes and have 3 popular serial interfaces: RS232 (including a master communication mode), I2C and SPI. 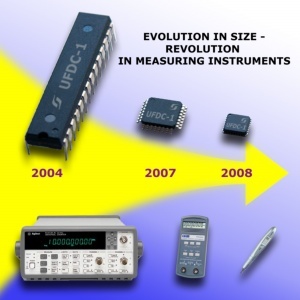 The main differences between UFDC-1 and UFDC-1M-16 chips are low frequency range 0.05 Hz vs.1 Hz and conversion time (0.0002 ... 0.2) s vs. (0.00000625 ...0.00625) s respectively. 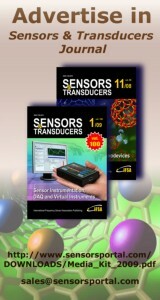 For more details about ICs UFDC-1 and UFDC-1M-16 please visit the following product web <page>.